Let’s face it, almost everything that is branded for equestrians has a crazy mark-up. If you are like me, you love your horse like a member of your family, and you want the very best for them. Thankfully, this does not mean that you have to always splurge on equestrian specific products!!! 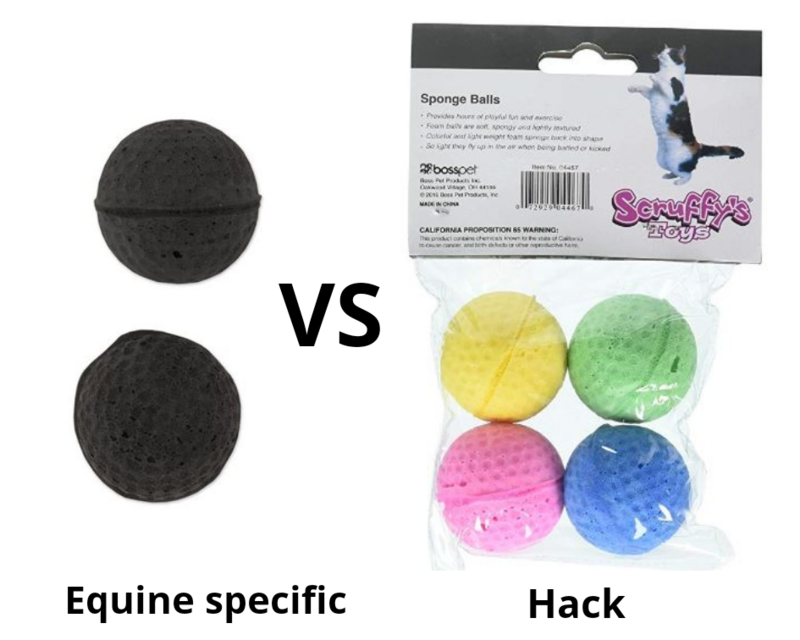 There are many “hacks”, aka non-equestrian branded products, that save you money and are comparable. I have reached out to equestrian community and have received some amazing feedback. 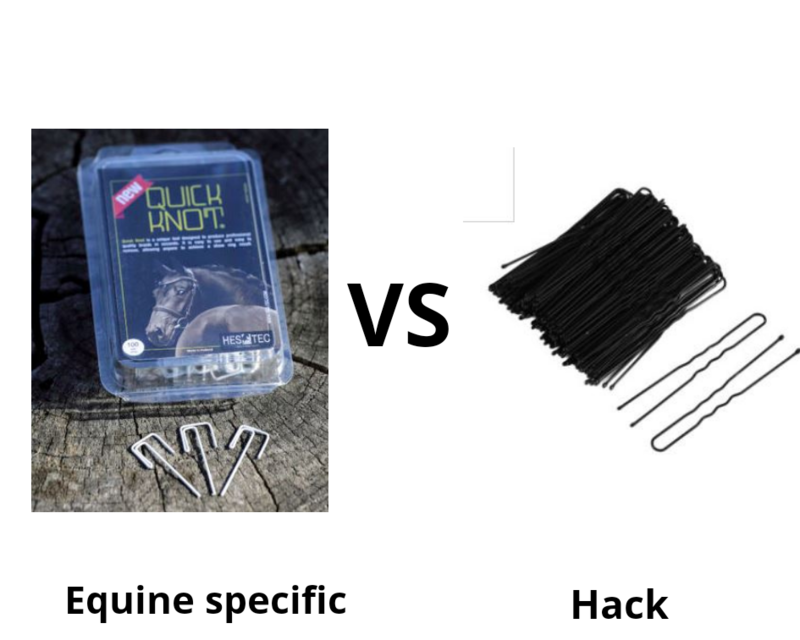 I am so excited to share this list of equestrian product hacks with everyone! 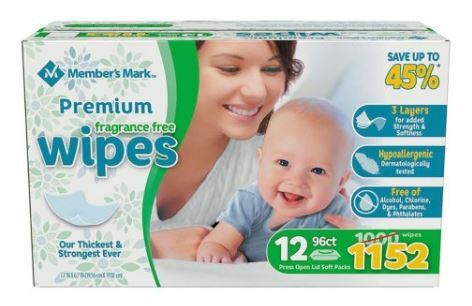 $18 for 1152 baby wipes from Sam’s Club. Fragrence and alcohol free, baby wipes are great for wiping gunk out of eyes and noses, cleaning your tack off in a pinch, wiping sweat off of your own face, cleaning oil off your own hands, etc. Not quite as large or as sturdy as the Bickmore wipes, you still get wayyyyyyyy more for your money’s worth! I always have a stash in my trunk. 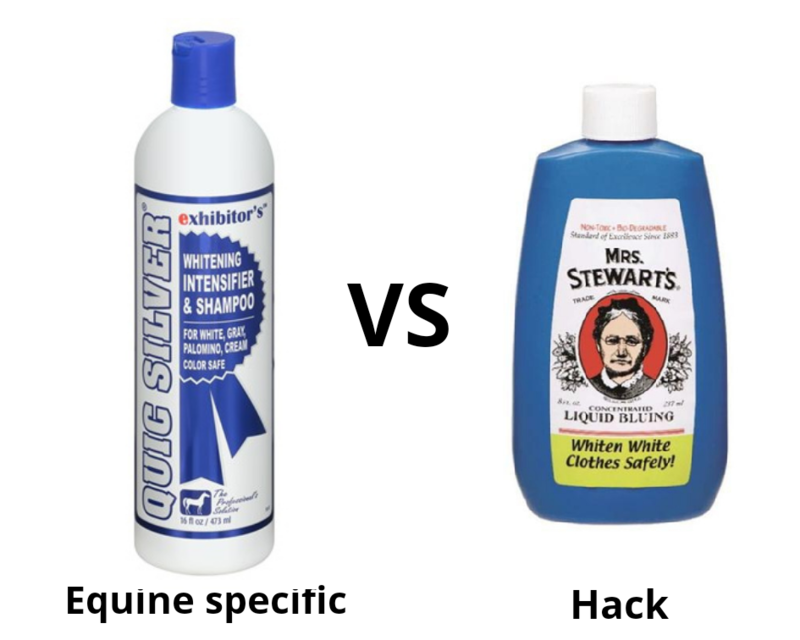 Shampoo– stop splurging on equestrian specific shampoo & conditioner when the human stuff smells amazing and is much much cheaper! 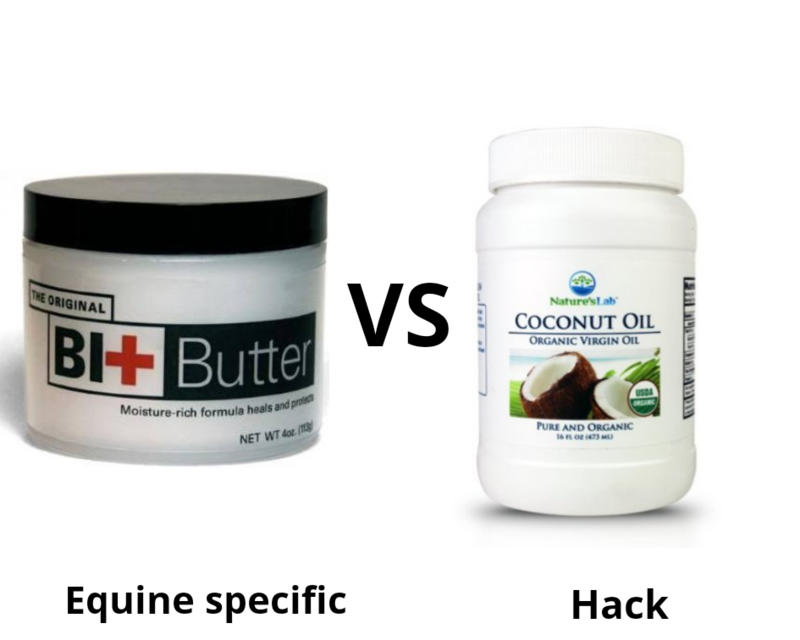 Leg brace & antifungal solution– 2 different hacks for this one! There are many products that claim to be great as a leg brace under standing wraps and have anti-fungal properties, so I couldn’t choose just one for a direct comparison. Must of them range anywhere from $10-25. 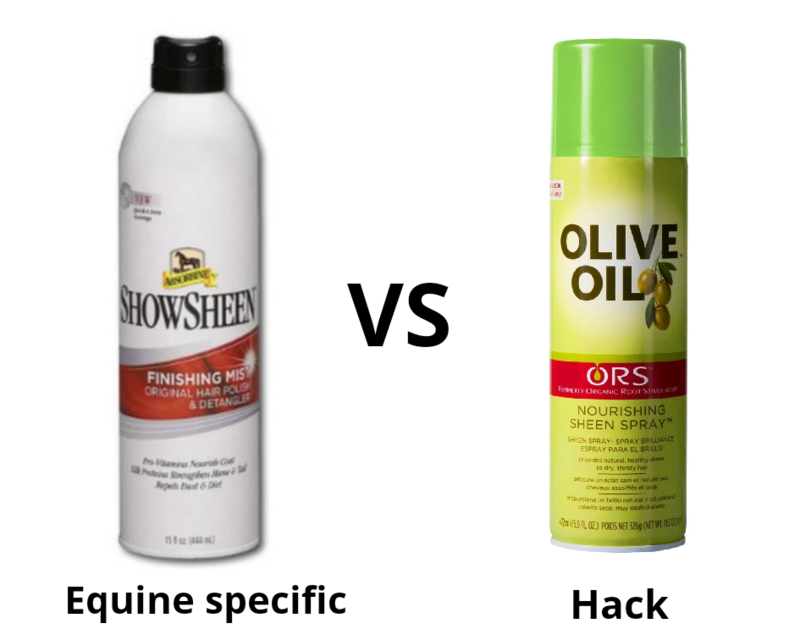 $5 for 15.9 ox ORS Olive Oil Sheen Spray at Target- submitted by @remarkablemare, she credits this amazing hack product for her mare Juliet’s beautifully shiny coat, and says dust doesn’t stick to it, and it doesn’t like a residue like Show Sheen does. Talk about a win-win! 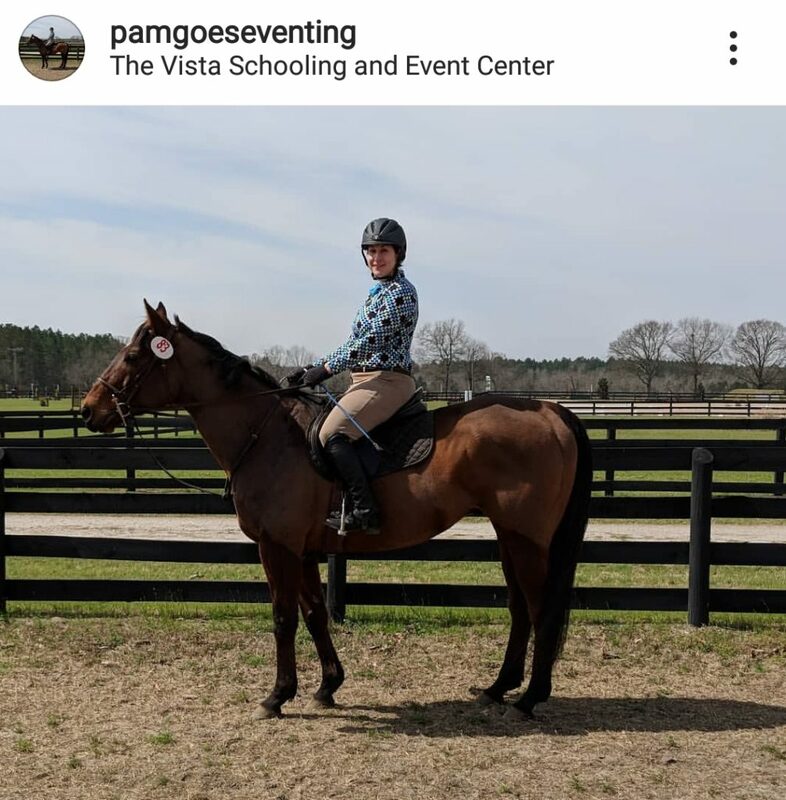 Huge shout out to @pamgoeseventing for sharing her beautiful quarter-zip sunshirt finds with us! 100 for $8 from Walmart: Curved bobby pins are definitely not exactly the same as the specifically horse designed Quick Knot braiding pins, @trou_story_farm swears by these and says they are a great alternative to the pricey equestrian specific ones! Show Sheen for body clipping– if you body clip then you probably know that a coat shiner will help the blades slide through the coat easier by reducing friction, which also helps keep you clippers from getting hot. I just clipped Rio a few weeks ago and DOUSED him in Show Sheen for this purpose. $2.77 for 84 count denture cleaner at Walmart: Denture cleaner is GREAT for cleaning dirty bits. Throw a bit in a tub with some water and one of these tablets and it will be sparkly clean in no time! Don’t believe me? Check out this guest blog post that talks all about it! Bit Butter– Made with a blend of natural butters and essential oils, this balm moisturizes, revitalizes, and helps heal skin for a smoother, softer feel. $10 trash can from Target, lay it on the flat side and you are good to go! (submitted by @kaylahaynes_). Want to learn more about this awesome hack? Check out Kayla’s blog! She also lists tons of great uses for everyday products at the barn! 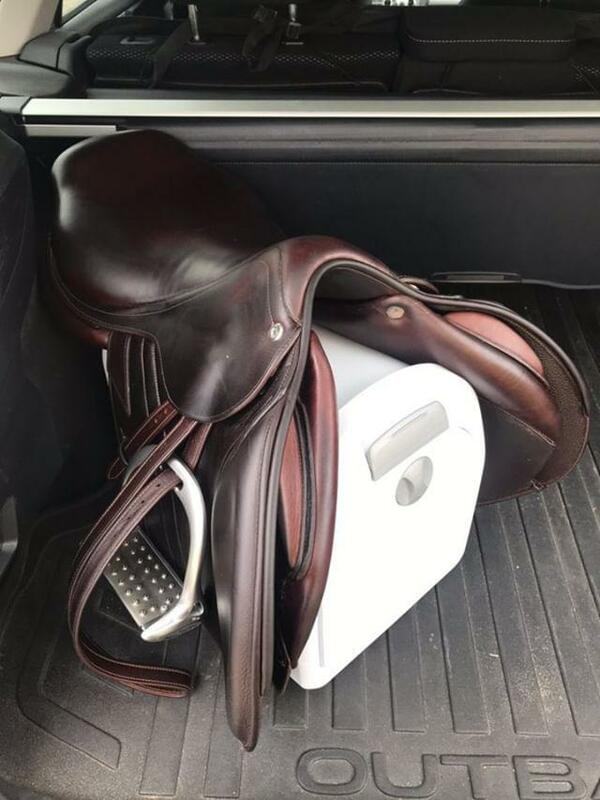 $7 for 8 oz Mrs. Stewarts at Walmart: At first glance, it may seem like you aren’t saving money with the non-equine specific version, but a little of this stuff goes a long way! @hayner.g says she puts 2 capfuls in a bucket of sudsy water to get her 2 large greys bright and shiny. She also recommends following up with a conditioner so as to no dry out their hair. I received so many wonderful hack suggestions, thank you to everyone who shared your ideas with me! Horses are expensive enough, it’s nice to be able to save a few dollars here and there when possible. Did I miss a great hack? Please leave a comment to share! I loooove this post. So many ideas I didn’t realize for $$$ saving. Thank you! 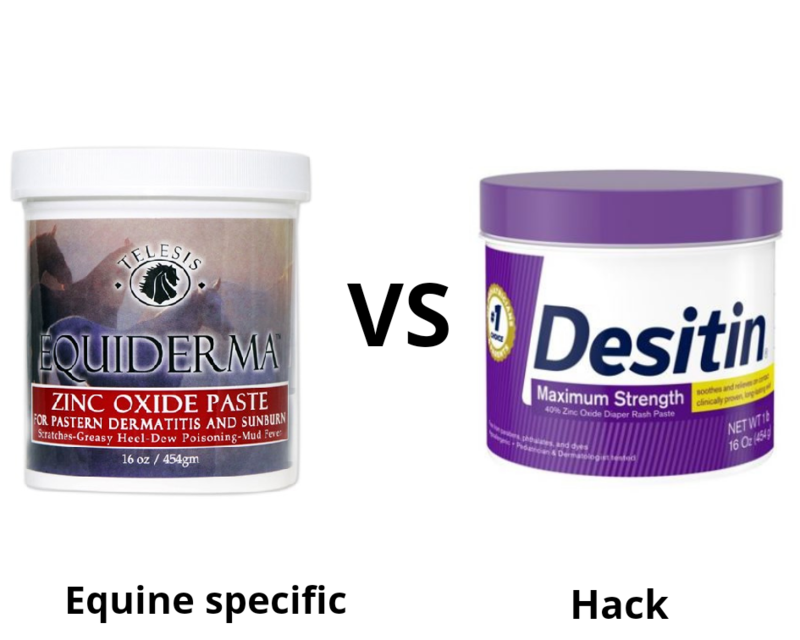 My farrier suggested mineral oil for dry hooves. $2 at Walmart. Reusing old clipper blades as pulling combs. Take a photo copy of your USEF card when shopping at Dover or Smartpak, they offer discounts. Dry shampoo to get the stink out of a sweaty helmet (versus the CO helmet spray).